I’m Sorry, I Can’t Call You Honourable! In most democratic and enlightened societies, the bromidic word is reasoning, unlike my country of origin (Ghana), where respect has always been the norm. Unfortunately, however, in Ghana, one must always seek to discharge his/her emotional intelligence and show deference for fear of being upbraided for upsetting the frumpish, and the crude majoritarian Africa culture of respect. Obviously, it is that trite and dowdy word respect that has given the grown up people in Africa as a whole the licence to misbehave over the years. For, if that was not the case, how come our shameless, incompetent and corrupt public officials continue to sink the economy deeper and deeper into the mire, create, loot and share our resources and often go scot free? Of course, you would be tagged disrespectful for criticising for instance, the public officials who sleep on the job, accept bribes and dip their hands fecklessly into the national coffers as if tomorrow will never come. For God sake, how could it be contumelious for calling a spade a spade? To be quite honest, it is neither an offence to suggest that an individual devoid of the requisite knowledge to hold down a position nor slanderous to pontificate that a person does not have the qualities required for effective conduct of an important position such as a policy maker. We must, therefore, not and cannot stand accused of exhibiting risible and inborn predilection for reprimanding the irresponsible public officials. Indeed, there is an admissible evidence of irreversible irresponsibility on the part of some public officials who prefer to be called ‘honourable’, but do not exhibit anything honourable. “Honourable means characterised by or possessing honour. It refers to winning or deserving respect and honour. It can be used to mean the earning or bringing recognition and distinction. It is a quality consistent with good name and honour. Honourable can be used to mean illustrious or distinguished” (Oxford English Dictionary, 2012). In a nutshell, honourable can be defined as upright, honest and sincere. The appellation honourable thus cannot be adopted without honouring the associated responsibilities. Based on the preceding extant significations of honourable, how can we refer to some of our politicians as honourable, considering their abhorrent attitudes and behaviours towards the electorates who ensured these lots got to their comfort zones? Ghanaian politics has indeed become a scorned profession, not a noble profession it used to be. Suffice it to stress that it takes good people—good citizens and leaders to build a prosperous nation. Yet a lot of good people would never go into politics. They dislike the toxic levels of partisanship. They hate the intrusive media scrutiny and they won’t pay the high personal costs of the political life. Yes, once upon a time, anyone who gained a seat in parliament was looked up to and respected by all; alas, this is not the case anymore. 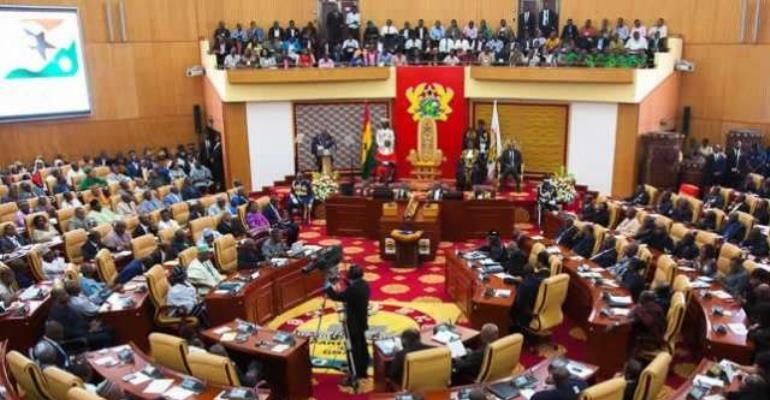 We hear for instance, how some Ghanaian Parliamentarians, who prefer to be called honourable, would eagerly troop to the media to report an alleged bribery case, instead of going to the police or other appropriate channels. How honourable is that action? Please don’t get me wrong. I am not seeking to downplay the ugliness of the alleged crimes, far from it. But I’m rather scolding the mode of exposure. It is indeed unconventional for our honourable Members of Parliament to seek to expose an alleged wrongdoing through the public space. Perhaps, more than anything else, our negative thinking towards politicians stems from the shenanigans and hypocrisy that accompany a job in which, in the cut and thrust of the day-to-day political encounters, one must always be right and the adversary must always be wrong. And, the debatable worldview is that, one side is always motivated by the public interest, while the adversary is motivated by base and unworthy aims. In any case, the vast majority of Ghanaians have a deferential regard for people who have the heart and the abilities to make sacrifices. Of course a large number of Ghanaians hold in high esteem people who have the wherewithal to do the right thing. And we are often inclined towards people who have the courage of their aspirations. Yet some politicians would betray the trust we repose in them. Why? Sadly, whatever the case, the discerning Ghanaians cannot do away with the politicians, despite their persistent relaxation and indulgence. It is indeed regrettable that discerning Ghanaians have to endure such impishness from a section of our politicians. Apparently, we, the electorates, are resigned to give our votes to the politicians, who are in turn, obliged to implement expedient policies that would move the nation forward. Thus, in contrast to our expectations, it will, be devilishly difficult to do away with politicians, in spite of the persistent disappointments. In sum, our parliamentarians must earn their honourable appellation by living exemplary lives and desist from desecrating our honourable parliament. This author has authored 691 publications on Modern Ghana. Why did NDC’s 2013 inter-ministerial taskforce fail to halt galamsey?